Here is a list of product releases and updates for mid-November from companies that offer services to online merchants. There are updates on search analytics, payment options, augmented reality, artificial intelligence for social media, and holiday sales. Facebook opens pop-up stores for the holidays. 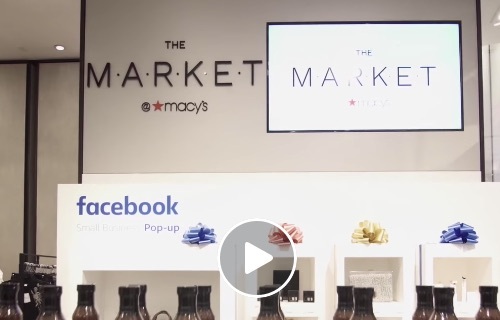 Facebook is opening its first small business pop-up concept in nine Macy’s locations across the United States to bring 100 small businesses and digital-native brands on Facebook and Instagram into retail stores for the holiday shopping season. The pop-ups will take place in The Market @ Macy’s in New York City, Pittsburgh, Atlanta, Fort Lauderdale, San Antonio, Las Vegas, Los Angeles, San Francisco, and Seattle through early February. The Market @ Macy’s helps both emerging and established brands reach new audiences by showcasing them in a physical space. Acquia, BigCommerce partner to accelerate content for commerce initiatives. Acquia and BigCommerce have announced a partnership to make it easier for brands to take advantage of cloud-based commerce and content solutions. Merchants can now tap into the open source content management system Drupal and BigCommerce’s ecommerce platform for catalog, order, and customer data. WooCommerce partners with Codisto. 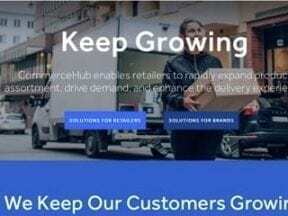 WooCommerce has announced a partnership with multichannel solution provider Codisto to enable WooCommerce merchants to connect their stores with Amazon’s and eBay’s network of over forty online marketplaces. “WooCommerce Amazon and eBay Integration” is available for a free 30-day trial from the official WooCommerce marketplace with paid subscriptions starting at $29 per month. 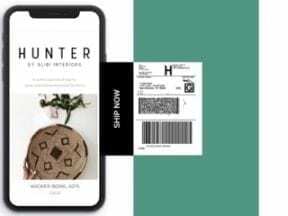 Vertebrae introduces a new augmented reality shopping experience for retail. 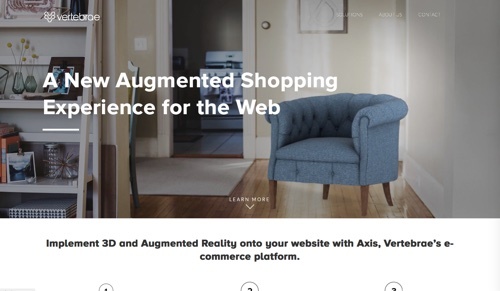 Vertebrae, a producer of 3D and augmented reality solutions, has announced the launch of Axis, an augmented commerce platform for retail. With Axis, retailers can transform their existing site with 3D and AR experiences that allow customers to visualize and try out any number of virtual products as they research and buy. eBay launches seller-initiated offers. eBay is adding the ability for sellers to make offers to potential buyers who are watching their items. The feature is being tested with a small group of sellers. Test group members select “Offer to Watchers” on the active listings page to see eligible listings. eBay is also adding the ability to edit listings directly from the active listings page in Seller Hub. eBay adds home services through partnerships. eBay has announced new partnerships with Handy, Porch, and InstallerNet to enable eBay shoppers to buy installation services along with products. Installation and assembly services will be presented at checkout; if selected, eBay will follow-up with emails from the partner so the customer can schedule the service. Amazon expands free shipping to everyone for the holiday season. For a limited time this holiday season, all Amazon customers can enjoy free shipping with no minimum purchase amount on orders that will arrive in time for the Christmas holiday. Plus, Prime members can shop with free Same-Day Delivery, now available on more than 3 million items. Additionally, Prime members in more than 60 cities can receive delivery in as little as an hour from Whole Foods Market through Prime Now. Etsy adds on-site search analytics. Search analytics is now available to all Etsy sellers. 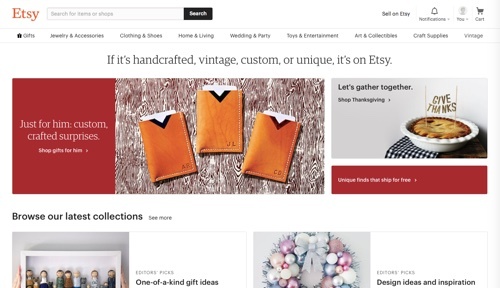 Etsy began rolling out the tool on October 9 but recalled it after sellers complained that they were receiving inaccurate data. Etsy search analytics is different than Etsy Stats, which will continue to be available. Search analytics focuses on traffic coming from Etsy’s search engine, while Stats provides information about traffic from all sources. Magisto launches Chant to help businesses on social media. Magisto, an AI-powered video creation and marketing platform, has released Chant, an app to help businesses boost their growth on social media. Chant offers content ideas, customizable video production, and native distribution and engagement insights to power social media marketing for small businesses. Chant takes users’ goals and needs and helps to select the right content template, offering recommendations, ideas, and suggested content. Chant templates can then be edited and customized with brand colors, logos, captions, and intuitive storyboard editing. BigCommerce adds support for Venmo and Masterpass. BigCommerce merchants using Braintree can now present a more intelligent personalized checkout experience, providing customers the option to choose from multiple payment options, including Venmo and PayPal Credit. When shoppers have Venmo enabled as a payment method on their mobile devices, it will automatically appear alongside other supported payment types. By adding Masterpass by Mastercard as a payment option, BigCommerce merchants gain advanced payment security, while making the checkout experience more convenient for consumers. Masterpass stores all payment information including card details, shipping information, and payment preferences, shortening the path to purchase. Sensai launches AI-powered social media marketing for small businesses. 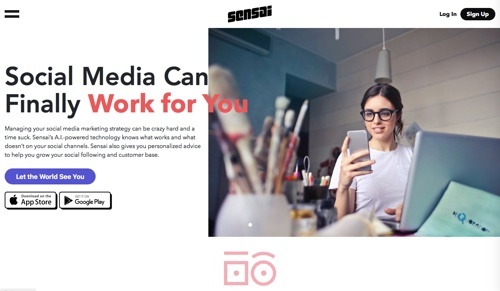 Sensai has launched its core product, an artificial-intelligence-powered social media marketing solution for small businesses. Sensai lets businesses and creators maintain control over their social media accounts while providing actionable recommendations. Professional-tier customers receive a full social media strategy developed by experts assisted by AI, with personalized daily content calendars. Sensai also provides feedback on past posts to help businesses understand why the posts performed well or poorly, to improve.